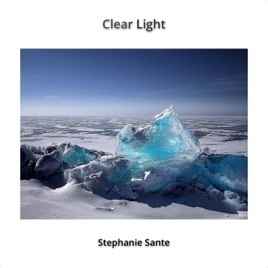 After moving away from the new age/ambient genres for the past fifteen years or so, award-winning keyboardist/composer Stephanie Sante returns to her solo recording roots with "Clear Light," a musical tribute to the oceans of the earth. Sante released three albums in the new age/ambient genres between 2000-2003 and then went in a different direction within the NuJazz, downtempo, electronica, groove, lounge and chill genres. In between, she released a few ambient and smooth jazz singles before deciding to further explore new age as a musical language to help to educate people about the many dangers that threaten the world’s oceans and sea life. “I wanted this music to encapsulate the power and beauty of the world’s oceans, and to draw attention to not only the wondrous aspects, but also to the problems confronting them…. 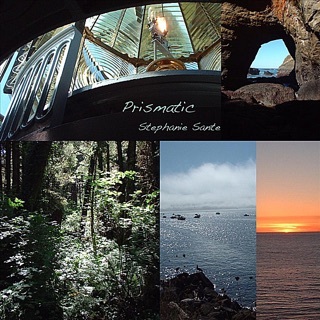 I felt new age music was the best style to use to capture all the moods and emotions associated with ocean-life.” In addition to the distinctive sounds of electronica and synthesizers, the nine tracks include “a smattering” of sampled acoustic instruments that include strings, piano, bass, percussion, chimes and wordless vocals. All of the tracks are much more ambient than melodic, and Sante is especially adept at creating visual images with her music. "Clear Light" begins with the title track, a darkly mysterious piece that has a rather “classic” electronica sound with occasional rhythmic “bursts.” Even with the changes in electronic instrumentation, this piece really feels like the slow fluid movement of deep water as the tides and sea life move gracefully about. “Deep Impression” is a musical exploration of the geography of the bottom of the ocean and how various natural events affect the life forms that live there. Darkly beautiful from start to finish, it brings many images of colorful plants and creatures as they move with the rhythms of the water. “Jade Resonance” refers to the kelp forests that are sometimes the color of Chinese jade. The gently undulating movement is a wonderful aural impression of the slow but constant motion of these vital plants that provide food for some sea life and oxygen for the water. “The Color of Coral” refers to the vivid colors of living coral that usually turns white when the coral dies, and brings attention to the fact that the coral reefs of the world are extremely endangered. “Moonlit Starfish” is a fantasy piece that imagines starfish dancing on the floor of the ocean. This is one very slow dance, indeed, but it definitely has a beat and a pulse. It also beautifully suggests light filtering down through the water to create a magical ambiance. “Mariana,” the album’s last track, is a piece about the Mariana(s) Trench and the sea life that is discovered there with every visit. Dark and very mysterious with just a suggestion of possible danger lurking in the deepest known waters of the ocean, it’s an evocative closing to an exceptional album! 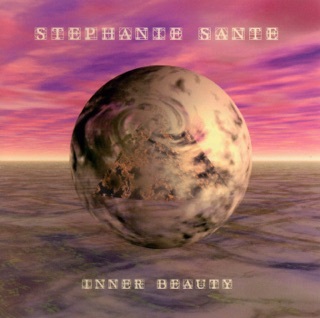 I have heard Stephanie Sante’s name for many years, but this is my first review of any of her albums. I’m really impressed and salute Sante for utilizing her music for this very important cause. "Clear Light" is very highly recommended! Clear Light carries on the tradition of thoughtful and creative music as it the busyness of the day melts away. All of those thoughts and tasks of the day just flow away, then are replaced by joy, warmth, love, and clarity. 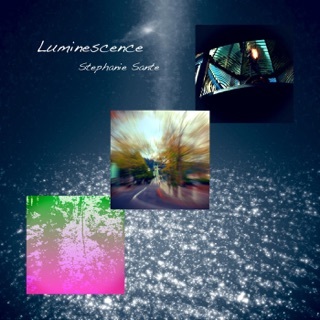 Stephanie takes you there with her music. In 9 tracks of an enchanted journey through time, space and nature, you are delivered to another world, perfect for those of you seeking simple solace or an opportunity to meditate. A most magical musical journey through glacial, aquatic northern terrain! 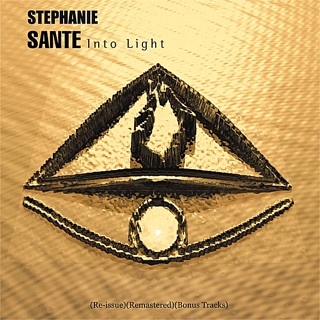 Electronic music composer Stephanie Sante has recently released what is easily my favorite album by this amazing artist since her 1999 debut, Into Light. I recall first hearing her music many years ago via its gorgeous lead track, “The Awakening”, while the album overall displayed a beautifully melodic space music style with classic “new age” overtones. Sante followed up that landmark album with a couple of releases that compellingly ventured into overall darker, ambient space music territory. 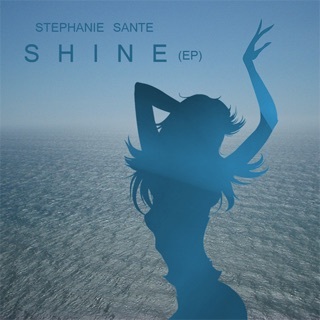 Since then, Sante has also released some jazzier flavored “chill/lounge” singles and albums, including her 2017 full-length release, In Your Eyes. But on Sante’s latest release, Clear Light, she seems to have come full circle – with the album's compositions embarking upon sonic explorations of both liquid and icy atmospheres comprised of glistening ambient textures and classic electronic sequencing. Particularly outstanding pieces – such as “Salacia’s Dream” and “Fractured Echoes” – seemingly evoke a magical feeling of underwater arctic exploration and the presence of marine life. Other pieces such as “Melt Like Snow” employ distinct ethereal vocal intonations, while the especially enchanting, “Moonlight Starfish”, is gently guided along by a subtle rhythm – effectively conveying an awe-inspiring sensation of sailing across the sea at night beneath the aerial dances of the aurora borealis. A simply breathtaking album overall, Clear Light is a must-have for fans of gently emotive, melodic ambient and space music – while it's guaranteed to take the listener on a most magical musical journey through glacial, aquatic northern terrain!